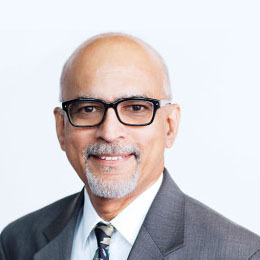 Srini Srinivasan is the CEO of LUMIUM, a creative product design company based in Palo Alto, CAm focused on new product development for medical devices, consumer electronics, mobile accessories and consumer goods. LUMIUM combines its skills in Industrial design and mechanical engineering and provides significant value to its clients in getting a product out in the market quickly. It also designs attractive packaging and animated product brochures to complement its product design services. Srinivasan served as treasurer on the Board of Directors for the World Design Organization from 2015 to 2017, then was named president-elect for the 2017 to 2019 term. Previously, he led and managed multi-cultural, multi-discipline product design teams that delivered world class and award winning products in the telecom and wireless domains. He has a wide spectrum of technology and business background in instrumentation, consumer electronics, telecom and wireless equipment. Srinivasan is very passionate about product design and usability. His design thinking comes from keen observation and use of good and poor products, personal gadgets and user experiences. Srinivasan brings his strong skills in blending business strategies, practical use and common sense, design methods to deliver excellent products. He served on the panel of innovation judges for CES 2012 and other industry events and ran non-profit programs. Srinivasan attended an executive education program at Haas Business School, UC Berkeley. Srinivasan may be reached via email at: srini@lumium.com.